Nearly one third of India's total population will soon be governed by a woman chief minister. With Mamata Banerjee and J Jayalalithaa set to capture power in West Bengal and Tamil Nadu respectively, India will soon boast of four woman chief ministers. 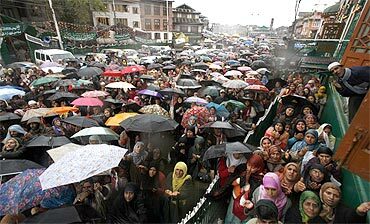 Of a population of 121 crore (1.21 billion), roughly 37.43 crore (374.3 million) Indians will have a woman chief minister. Trinamool Congress chief Mamata Banerjee is set to capture power in West Bengal, which has a population of 9.13 crore (91.3 million). Mamata has in fact emerged as the 'giant killer' for ending the 34-year-old Left front rule in West Bengal. She fought on the single electoral plank of doing away with the 'misrule' of Marxists. 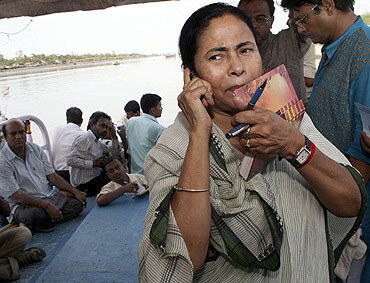 It was a 'Mamata wave' that swept away the Left rule in West Bengal as the Trinamool Congress leader, who floated the party over a decade ago after parting ways with the Congress, proved that she was the most formidable opponent of the Communist Party of India-Marxist. AIADMK chief J Jayalalithaa is all set to come to power after defeating arch rival DMK. 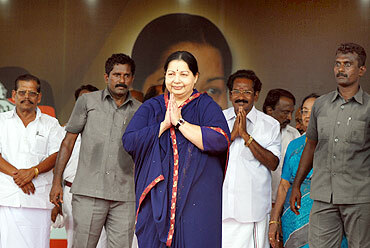 She will rule over nearly 7.2 crore (72 million) people in Tamil Nadu. Jayalalithaa, who was out in the cold for the last five years in Tamil Nadu and the Centre, had her sweet revenge on Karunanidhi's DMK. Jayalalithaa's single point campaign plank was to end the "family rule" of the DMK in the backdrop of the 2G spectrum allocation scam. 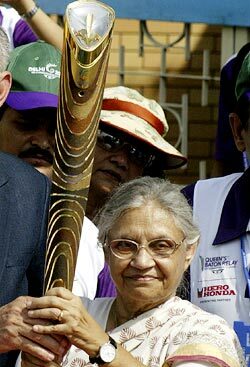 Shiela Dikshit of Delhi has the distinction of being the longest serving woman chief minister in post-independent India. The Congress leader has been at the helm of affairs for the past 12 years. Delhi, which witnesses a continuous influx of migrants, has a population of nearly 1.2 crore (12 million). Bahujan Samaj Party supremo Mayawati had single-handedly secured power in Uttar Pradesh four years ago. She is the ruler of the largest state in India, which has a whopping population of 19.9 crore (199 million).